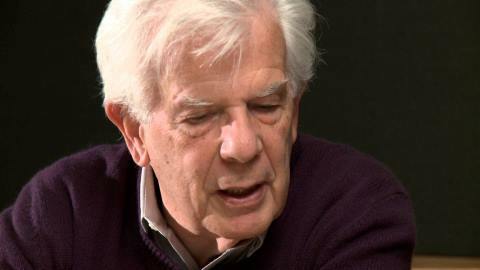 Christoph Von Dohnanyi, is director emeritus of the Cleveland Orchestra and son of Hans Von Dohnanyi, one of Bonhoeffer's fellow conspirators killed by the Nazis. Four men in my family were executed by the Nazis. Hans von Dohnanyi, my father, honored in Yad Vashem, was killed in the Nazi concentration camp Sachsenhausen short before the Second World War ended. At the same time the world-renowned theologian Dietrich Bonhoeffer, brother of my mother, my godfather, was executed in the concentration camp Flossenbürg. In 1930 Bonhoeffer began his studies in New York City at the Union Theological Seminary and learned to love and admire the United States of America. I know today he would be extremely unhappy observing a tendency of religious intolerance in the country he once admired so much for its freedom and acceptance. He never could have imagined that this strong, great nation would find itself in the political and ethical crisis it now faces. A nation’s heart may race when it feels threatened, fearful, or even terrified. But this heart, no matter how “devout”, should never tolerate walls nor turn away those seeking help. People died at the Berlin Wall. Many people died in Hitler’s concentration camps for their unwavering beliefs in the value of their ethics and in their fellow man. These beliefs are now endangered in many Western nations including, sadly enough, the USA. This is unimaginable.